After a successful 42 year career as a lawyer in private practice, Jack Zwicker will be focusing his attention exclusively on negotiation, mediation and arbitration. Over the last 42 years Jack has helped clients negotiate practical, business-like solutions to a host of contractual, corporate-commercial, property and estate issues. Where disputes have arisen and litigation is unavoidable, he has successfully represented clients in court. His preference, however, has always been to negotiate, and if necessary, mediate or arbitrate disputes where parties are committed to avoiding the expense, delays and uncertainty of litigation. Jack provides a friendly working environment, and uses straight forward language and a business-like problem solving approach with clients who need help with negotiation, mediation or arbitration. 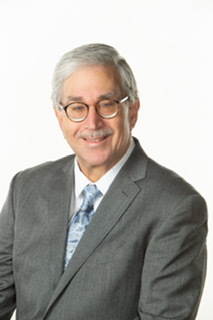 His working style always seeks to assist clients in reaching an early, practical, cost-effective resolution of their disputes. If you are in the midst of an unproductive negotiation, or a dispute that could be resolved through mediation or arbitration, please go to my contact page and contact ZWICKER DISPUTE RESOLUTIONS. To book an appointment for assistance with negotiation or mediation, please call (905) 604-0625. To discuss arbitration kindly send me an e-mail, and provide not only your contact information but also the contact information for any other parties and their lawyers. Your inquiries will be answered promptly. In the meantime, I hope that my website is helpful to you.